Effective business signage is like the handshake of first impressions, so it makes good business sense to get it right. With Go Graphics, your brand is in safe hands – we have loads of experience in this field. Our valued commercial property management clients include Axia Corporate Property, Humich Group, Sullivan Property Management, Vend Property and McGee’s Property. These guys regularly call on us for a huge range of signage, with no job being too big or too small. At Go Graphics, we endeavour to reach for the stars on each and every project, from advertising on hoarding and window graphics and free-standing temporary signage to tenancy directory boards to multi-tenancy pylon signs and Shopping Centre Signage. 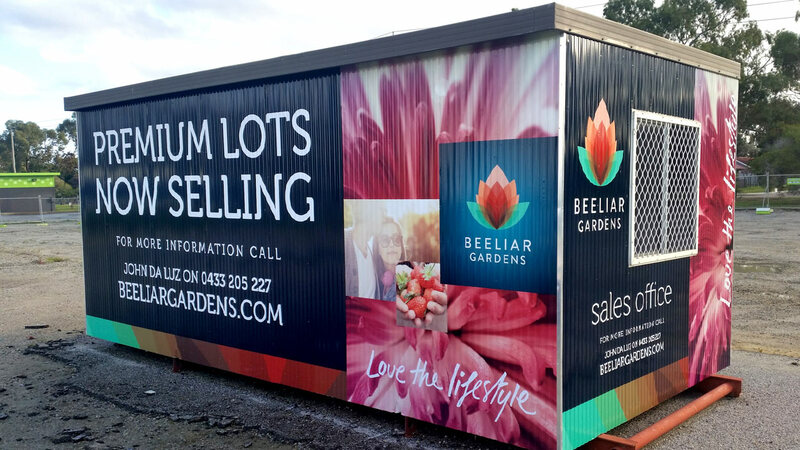 In most cases our expertise and offerings extend to meet the needs of tenants too, ensuring a consistent delivery of signage for all stakeholders. Excellent Signage is an essential element to success in Leasing Commercial Property – attracting the right tenants and customers to your properties quickly will save you money. Check out some of our recent work and consider how Go Graphics can help you on your next project.